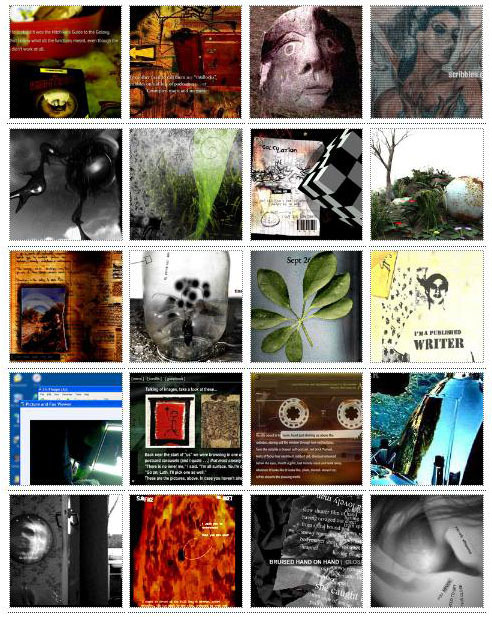 Dreaming Methods is a non-profit making website established in 2000 which evolved from digital collections of short stories that were available on floppy disk during the 1990s. It is now an experimental venture into combining fictional narratives with atmospheric multimedia designed to be read and experienced on-screen. Dreaming Methods is inspired largely by abstract concepts that would perhaps be difficult to capture using writing alone. The multi-layered complexity of dreams/nightmares and real/imagined memories that feature in many of the narratives are represented by a heavy mix of media that is designed to be compulsive and immersive. Projects are inspired by music, film and web design as much as literature, and attempt to take strands of each and weave them into something entirely new. Dreaming Methods is not a leading edge flash site or a publishing outlet for ebooks – it’s free and openly experimental. Whilst the publishing industry dabbles about squashing fiction into iPhone apps and pinning bells and whistles around fiction xeroxed from printed books, our plan is to produce challenging hybrid fiction projects that push the boundaries of digital writing and reading.